Although waste disposal vehicles provide an essential public service to cities, towns, and hamlets in the North Bay, when these massive trucks attempt to maneuver narrow residential streets, one wrong move can have fatal consequences for any motorist, bicyclist, or pedestrian in their path. The drivers of garbage trucks or sanitation vehicles are not relieved of their duty to drive with care despite certain provisions of the California Vehicle Code that do not apply to them. For example, garbage or sanitation vehicles are allowed to drive on the opposite side of the road, but only if the front and rear turn signal lights at each side are being flashed simultaneously along with other operational safeguards in place. Further, there are certain provisions of the California Vehicle Code that do not apply when these trucks are driving to and from work. Hence, if you or someone that you love has been injured or killed by or in a garbage truck or sanitation vehicle accident in the North Bay, Santa Rosa, San Rafael, Novato, Rohnert Park, Windsor or any of the cities and towns in Marin and Sonoma Counties, please do not hesitate to contact the Law Offices of Michael A. Fiumara today for a free and confidential consultation and case evaluation. Garbage trucks kill more pedestrians and cyclists per 100,000,000 miles driven than any other vehicle on the road! A recent study has shown that these trucks do not travel too many miles, but spend the majority of their time in neighborhoods where the risk ratio of injury is increased significantly. Unfortunately, each year sanitation workers or pedestrians are killed by deadly garbage truck and sanitation vehicle accidents in cases where sanitation workers are pinned by a rolling truck or crushed. In these types of accidents as in all others, Cal/OSHA (Occupational Safety and Health Administration) will begin the investigation along with the California Department of Industrial Relations. Our skilled and experienced attorneys immediately follow up and further these initial governmental and regulatory findings with our own top-notch investigators, experts, and engineers to arrive at the real cause of the injury or wrongful death. Garbage trucks which are also known as waste disposal vehicles, dump trucks, and trash trucks are inherently dangerous and prone to accident injuries. Grapple trucks which are used for bulky waste. Garbage trucks are either owned or operated by a public entity, a city, town or municipality or by private waste disposal companies. Bicyclists and pedestrians are placed at greater risk of harm or injury by large sanitation and garbage trucks than by any other vehicle on the road as concluded in several studies. The narrow streets in older inner urban areas or older suburban areas along with their high population density in residential areas make large and bulky garbage trucks difficult to maneuver. The size and dimensions of garbage trucks and certain sanitation vehicle models oftentimes hinder visibility and create blind spots for drivers. Since sanitation vehicles make frequent stops and back up frequently– their behavior can be unpredictable causing more accidents per mile driven. If a garbage truck or sanitation vehicle is poorly maintained, an otherwise safe driving maneuver can become dangerous or deadly. Failure to yield to pedestrians and/or bicyclists in crosswalks. Failure to follow traffic laws. Driving in the wrong lane for easy and more convenient trash pick-up. Faulty back-up alarms or signals. Few people, aside from those who have been affected and some select personal injury attorneys, know that garbage trucks and sanitation vehicles are involved in a significant number of accidents with cars, bicyclists, and pedestrians at a greater level of propensity than other similarly sized vehicles for the above mentioned reasons. Unfortunately, garbage truck accidents are often very serious and even fatal. Like any large truck, a car is no match when there is a collision. 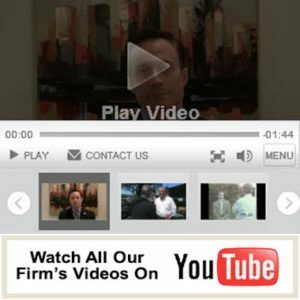 We have handled garbage truck accident cases, and in addition to dozens of truck accident cases, our highly skilled and trained personal injury attorneys understand the unique issues at work in these types of accidents. Our aim is to get you and your family full and fair compensation for those who have been injured or who have lost a loved one. You have nothing to lose but everything to gain from a confidential consultation and case evaluation with one of our team of garbage truck accident attorneys. We work on a contingency basis only so you pay nothing until we win your case for you at the end! Please feel free to contact one of our qualified and compensation trucking accident attorneys at our conveniently and centrally located Santa Rosa office at (707) 571-8600 in Sonoma County or our San Rafael office conveniently located in Central Marin County at (415) 492-4507, 24/7, nights and weekends. We would be happy to visit you at either your home, hospital, rehabilitation medical facility or wherever it is convenient for us to speak to you about your legal options. “The right attorney makes all the difference” and we are here to serve you.